Is the number of days that have passed since D-day. Good days, bad days, awesome days, terribly awfully crappy days. Mediocre days that were completely ho-hum. Hospital days. Days of sunny skies and days of ridiculous freezing Canadian weather. Laughs and fights and fun and learning so many new things. Family, friends, and the wonderfulness of holidays and ordinary kicking-around-the-yard days. Lying face-down on the bed weeping and wanting to scream from a mountain-top, “WHY ME?” days. Incredible days basking in the wondrous beauty that is our world. Days of feeling so blessed for all the lovely people who love me – yes, you. In other words, the days that comprise life for each and every one of us. Sweet, sour and downright hideous. We’ve hit the 3 year mark. It’s been 3 long, wild, hard, beautiful years. As time goes on, I realize that I will never get over what happened, and just suddenly be the same person that I was before. But the scars are fading and with it, my fears don’t hit me with the intensity that they used to. The future remains unknown, as it does for all of us, and so today is the very best day that I can make it, and is cause for celebration, for just being another day in good health. I actually forgot about today. June 20th, 2010 was Father’s Day – so as that passed, we took a moment. But today is just Thursday. Gavin went to school, I picked him up, we ate lunch and looked at photos together. He had a “regular” doctor’s appointment which always means pokes for him. Today was chicken-pox. No amount of jabs can get this kid used to needles and he tried to writhe away screaming. Traumatizing for another mummy but I’ve had to hold him down for much, much worse. 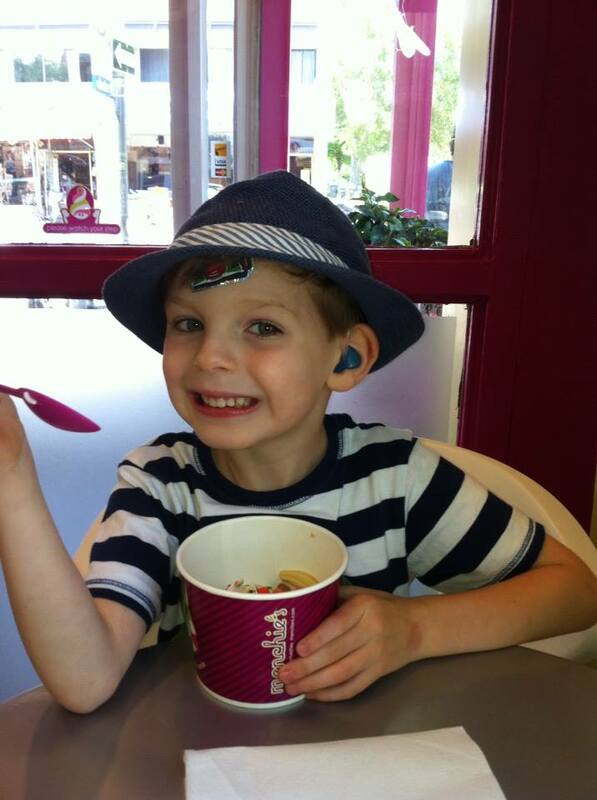 He was consoled with an Angry Birds Band-aid and frozen yoghurt liberally sprinkled with sprinkles. We went to the park and ran around in the sunshine, and as always I am amazed at how his strength and stamina grows and grows. What a remarkable little human he is, and what an honour and a privilege it is to be his mother. As always today, I take a quiet moment to say a prayer of thanks to the highly perceptive and empathetic Dr. Audrey Segal, who took the time to listen, which saved my son’s life.